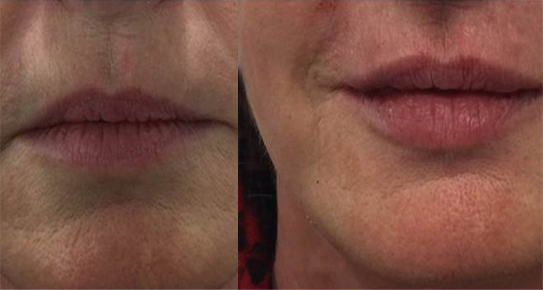 Lost volume in cheeks and lips can be replaced by Hyaluronic acid based dermal fillers. Such fillers are used for replacing volume into the deeper layers of the skin. Juvederm and Restylane are some such fillers. Cheek volume can be effectively replaced by deep fillers, while superficial fine lines can be reduced by thin fillers.